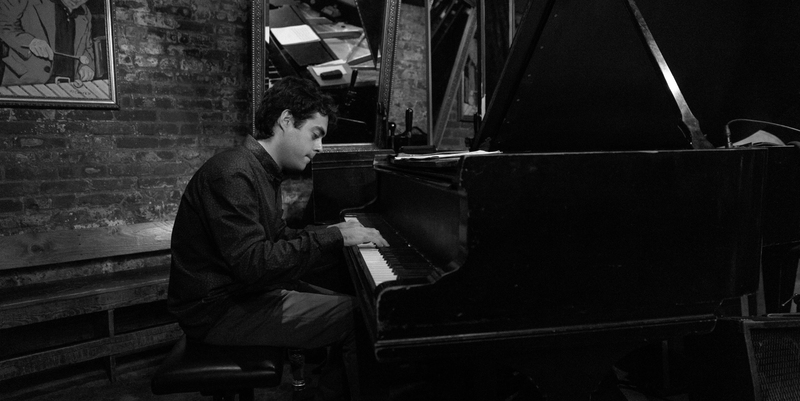 "His richly voiced and confidently poised music sits towards the exploratory end of the contemporary mainstream"
Born in Vigo (Spain), Yago Vazquez has been an active member of the New York City music scene since 2008 after receiving a scholarship to attend The New School for Jazz and Contemporary Music where he graduated with honors in 2010. His music has been critically acclaimed by the press worldwide, "his prodigiousness is quite noticeable"- All About Jazz; and in 2018 Vazquez received the “Martin Codax Music Award” for jazz artist of the year. Throughout his career Yago Vazquez has worked with many internationally recognized artists including Reggie Workman, Billy Harper, David Schnitter, Jeff Hirshfield, Scott Lee, Gilad Hekselman, Ingrid Jensen, Joe Martin, Charles Altura, Drew Gress, Jazzmeia Horn, Jamie Baum, Logan Richardson and Harish Raghavan among many others. He has toured extensively in America, Europe and Asia playing at world renowned venues such as Blue Note, Smalls Jazz Club, Smoke Jazz Club, Jazz Gallery, Jazz Standard, Mezzrow, Birdland, Blue Whale, Jamboree, Unterfahrt, Hot Clube and jazz festivals in Mexico, Chile, Costa Rica, South Korea, Portugal and Spain to name a few. As a recording artist he has been featured in over 30 albums both as a leader and sideman.